To customize this template after signing up, choose ‘Job Application’ as example when creating a new survey. Employees often have the potential to make or break your business e.g. one employee who always yells and shouts at customers can result in a bundle of bad reviews and put a serious dent in your reputation. Hence, a good screening process needs to be in place. Do they possess the proper documents to be employed in your country? Hiring illegals can result in serious penalties if tax services find out. Whether you knew it or not, it is your responsibility to know this information. Why use Survey Anyplace as Job Application Tool? Job application forms provide a uniform basis for comparing the performance of applicants. The same tests are given to the candidates and their score will enable selectors to see their performance. Our endless design features and capabilities are guaranteed to satisfy your needs. 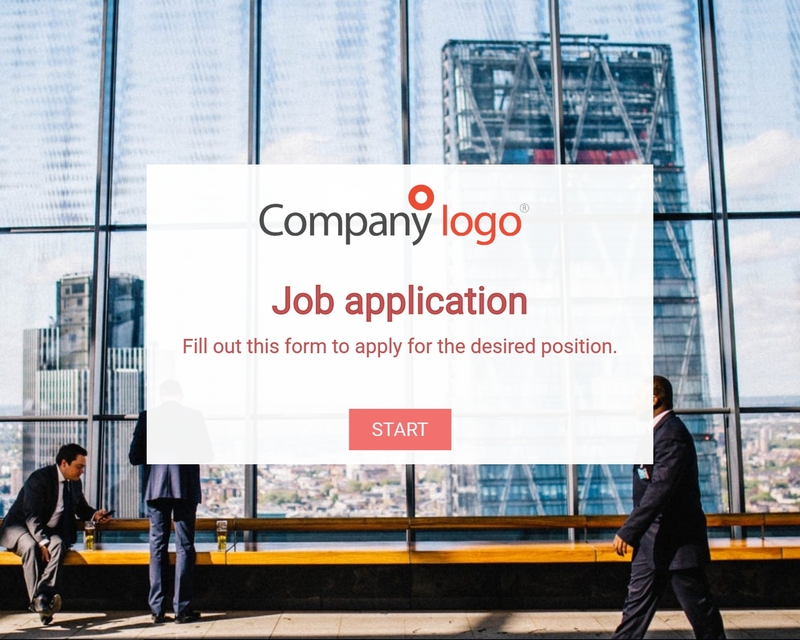 Automagic Color Selection, responsive design and many more features are bound to set you up with a beautiful job application form in no time! To use this sample Job Application Template sign up for Survey Anyplace , and choose ‘Job Application’ as template when creating a new survey. It is important that the applicant information can be communicated efficiently with the human resources department within the organisation: our tool offers the option to intelligently integrate your Job Application Form with Zapier, an app which automates traffic between platforms and apps. This, without a doubt, will increase recruitment efficiency and communication. Collecting job applications through paper forms, pdf or word documents is also possible but has the disadvantage that the data still needs to be transferred to a central system as a separate action, which makes it error-prone and inefficient.